Breakfast while backpacking in Denali National Park, with the mountain, Mount McKinley, in the background. Denali National Park and Preserve, Alaska. 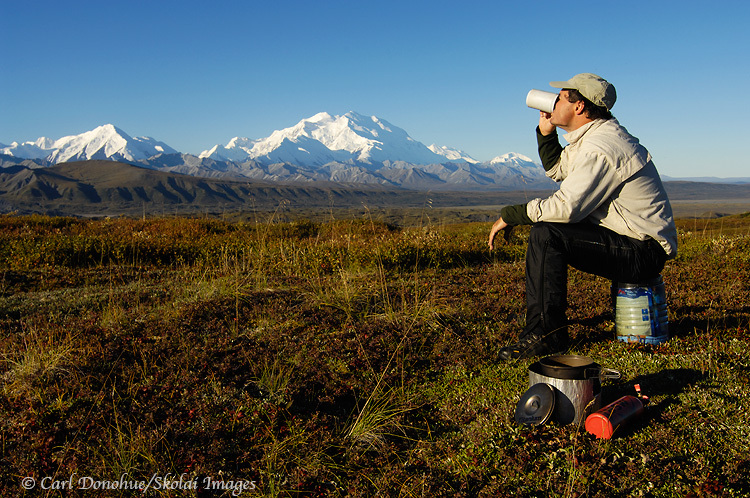 Photo of a backpacker drinking coffee at breakfast in the backcountry, with Mount McKinley and the Alaska Range in the background.